ORDER NOW. GET 25% OFF! Active New Zealand Bee Venom and 20+ Manuka Honey. cells, and the elimination & prevention of acne. Famous Beauty & Fashion Bloggers Love Beenigma. Beenigma® uses only pure New Zealand Bee Venom. One gram of the bee venom from New Zealand is the equivalent of 10,000 bee stings and costs about $304, more than eight times the current value of gold. Bee Venom produced outside of New Zealand is sold at much lower prices. The quality of New Zealand Bee Venom is unmatched because it is derived from 100% Manuka Honey Bees. 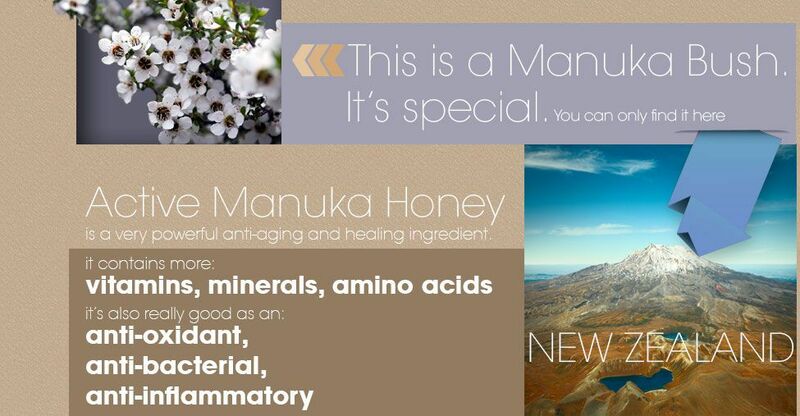 Manuka Honey is graded on a scale between 5 and 25, signifying the anti-bacterial potency. The higher the grade the stronger the anti-bacterial activity. This scale is called the UMF® quality (Unique Manuka Factor). 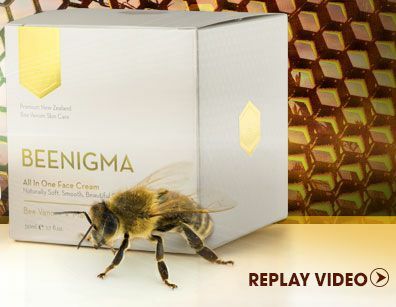 Beenigma® contains only 20+ Active Manuka Honey, meaning it is guaranteed to have at least a 20 out of 25 potency. It really adds an amazing glow and your skin is so soft afterwards. It pulls out the impurities—and it’s a nice foundation, especially if you are going to a big event where you want a great glow. The difficulty of collecting Bee Venom is why the ingredient is so expensive. When a bee stings a person, the venom-containing stinger is left behind and the bee usually dies. However, Beenigma® is 100% bee friendly. Bees are an important part of our ecosystem and therefore we only use Bee Venom sourced by an extraction method that does not harm the bees and ensures that their hives do not lose their ability to produce honey, propolis or royal jelly. The Beenigma® beekeepers harvest our Bee Venom in beehives that are framed with electrodes and covered with a piece of glass. When the bees come in contact with it they receive a mild electrical shock and sting the glass. They release some venom but retain their stingers. The bees return to the hive unharmed, but the venom is collected to be used in Beenigma®. The team at Beenigma spent over 18 months in research and development to formulate the perfect combination of ingredients. Beenigma ingredients work in synergy to not only plump and tighten the skin, but also refine overall balance. To perfectly balance the Beenigma® formula the addition of Shea Butter and Almond Oil sourced in New Zealand have been added. When I first started using Beenigma I noticed a tightening and firming of my skin almost instantly. You can really feel the active ingredients at work. Now that I’ve been using it for over a month I’ve noticed a new clarity in the tone and texture of my skin and a definite reduction in the lines that were starting to appear around my eyes and on my forehead. Not only that, but the philosophy behind the brand and the completely natural ingredients means that I feel like I’m ‘treating’ myself when I use it. Good for the soul AND my skin! As soon as I started using Beenigma I noticed a huge difference in the quality of my skin. My skin instantly felt tighter and I felt more vibrant and awake. It has now been 4 weeks since I started using it And am receiving more and more compliments about how great my skin looks. I have even been told that I’m glowing. I 150% recommend using Beenigma for the fastest most effective way to decrease worry lines, pigmentation and sagging of the skin. *Please Note: Do not use this product if you have a known bee allergy.